There are four types of multiple sclerosis: Relapsing-remitting MS (RRMS), Secondary Progressive MS (SPMS), Primary-progressive MS (PPMS) and Progressive-relapsing MS (PRMS). Each type of Ms disease differs from person to person and the illness is diagnosed based on a person’s own individual nerve damage. All these different types have their symptomatic and characteristics by which diagnosis is based. The importance of early and accurate diagnosis of multiple sclerosis helps the efficiency of the whole treatment. Symptoms in each type of the disease manifest themselves differently and according to them the exact type of multiple sclerosis can be more precisely determined, as well as the appropriate therapy. Relapsing-remitting MS (RRMS) Patients that suffer from this type of sclerosis have attacks that are clearly defined. 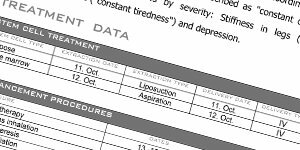 These relapses are usually followed by periods of recovery, when a patient is more or less back to normal health. During that time it seems like there is no progression of disease. In 85% of cases, the first time a person is diagnosed with multiple sclerosis it is a RRMS type. 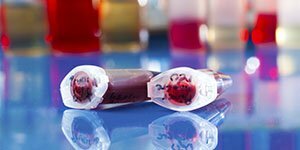 Secondary Progressive MS (SPMS) Secondary Progressive MS usually comes after Relapsing-remitting MS. Almost all patients that suffer from RRMS, eventually come to the next stage of a disease which is SPMS. During SPMS multiple sclerosis starts to progress more steadily, but that doesn’t have to mean it’s going to get worse faster. A person suffering from this type of MS has damage or loss of nerves. Primary-progressive MS (PPMS) This type of MS makes neurological functions of a patient a lot worse, whilst the relapses are very minimal. Progression of a disease at this stage is continuous, even though a person can experience some temporary improvements. Patients with PPMS can have many different problems and symptoms, but many of them have trouble walking and may need help with their day-to-day activities. In this stage of MS, the number of male and female affected by the disease is equal, unlike the pervious stages, where women are more targeted. 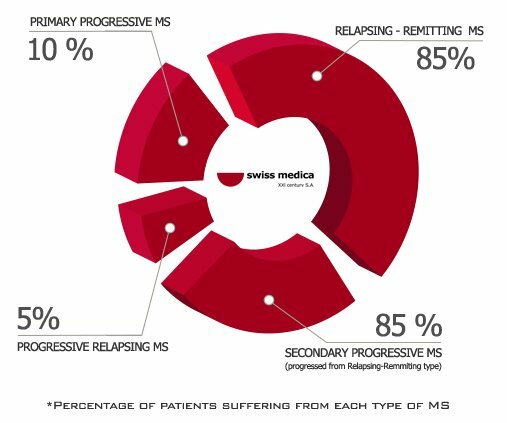 Progressive-relapsing MS (PRMS) is the least common type of MS, and only 5% of people with MS come to experience it. In this stage neurologic functions steadily get worse, and a person might still experience some occasional relapses similar to those characteristic for RRMS stage. Even if a person has a PRMS type of MS, they might be diagnosed with PPMS at first, because PRMS can be hard to detect at the very beginning. Most recent researches finds that stem cell treatment is very useful for Multiple Sclerosis patients. 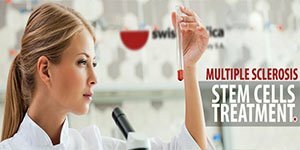 Unlike all other medications and therapies, stem cell treatment offers a massive change in curing Ms disease.